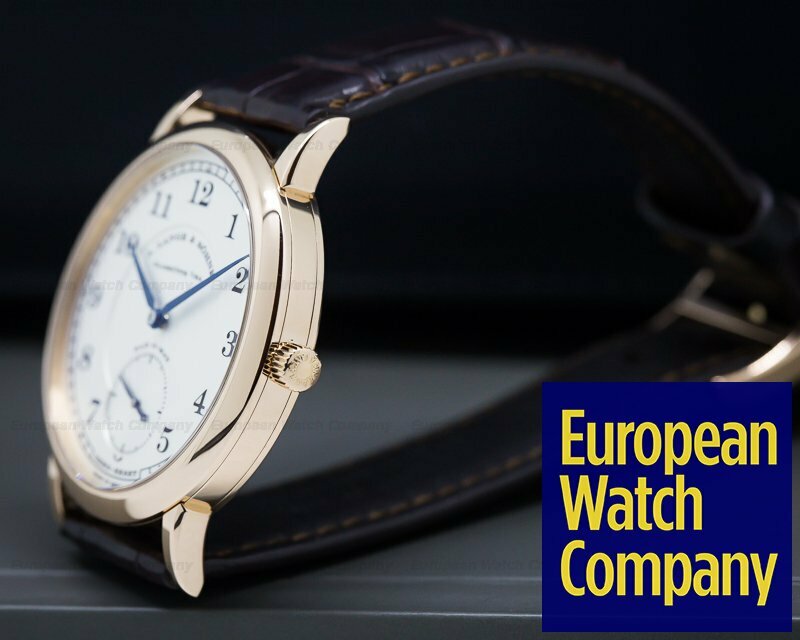 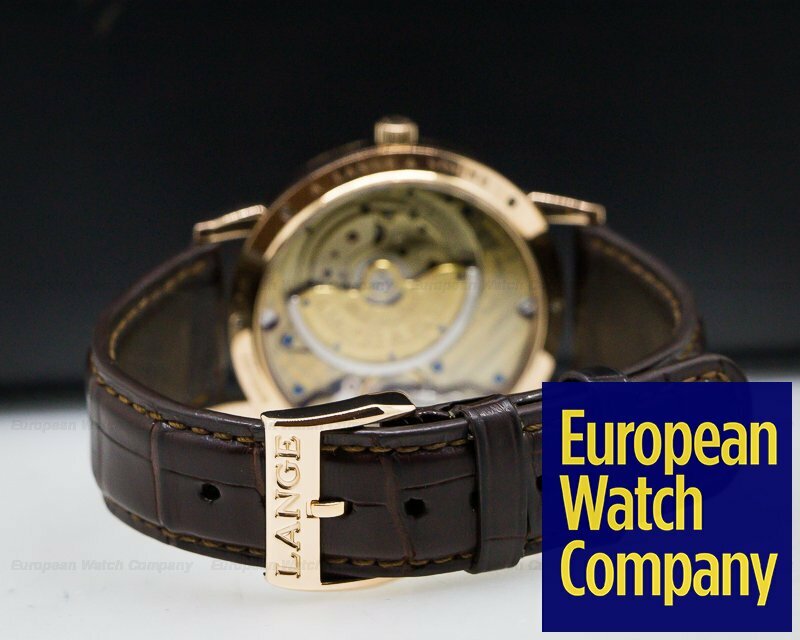 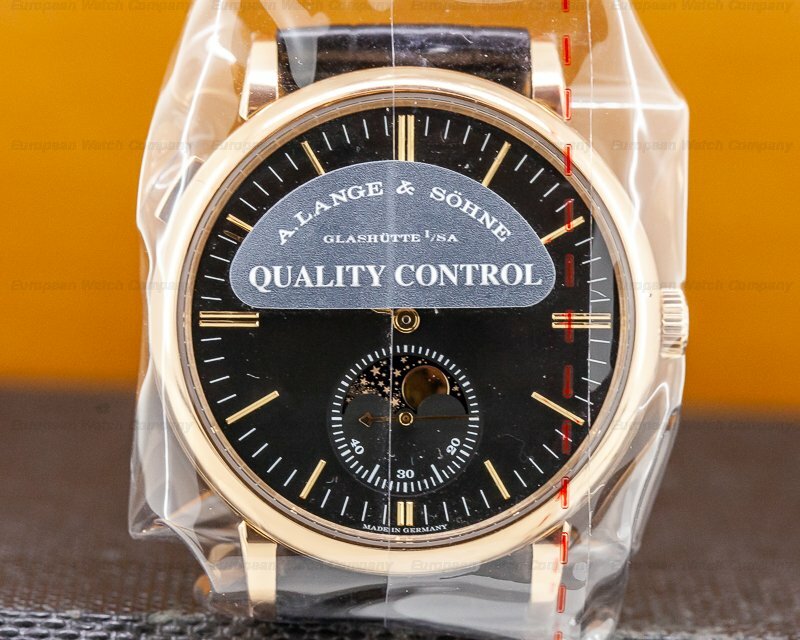 30469 A. Lange & Sohne 303.032 1815 Automatik Sax O Mat, 303032, 18K rose gold on a strap with an 18K rose gold buckle, automatic A. Lange & Sohne caliber, 45 hour power reserve, silver dial with arabic numerals, blue hands and "zero reset" hacking seconds, sapphire crystal, water resistant, display back, diameter: 37mm, thickness: 8mm, Like New with original box and papers dated 3 / 2009. 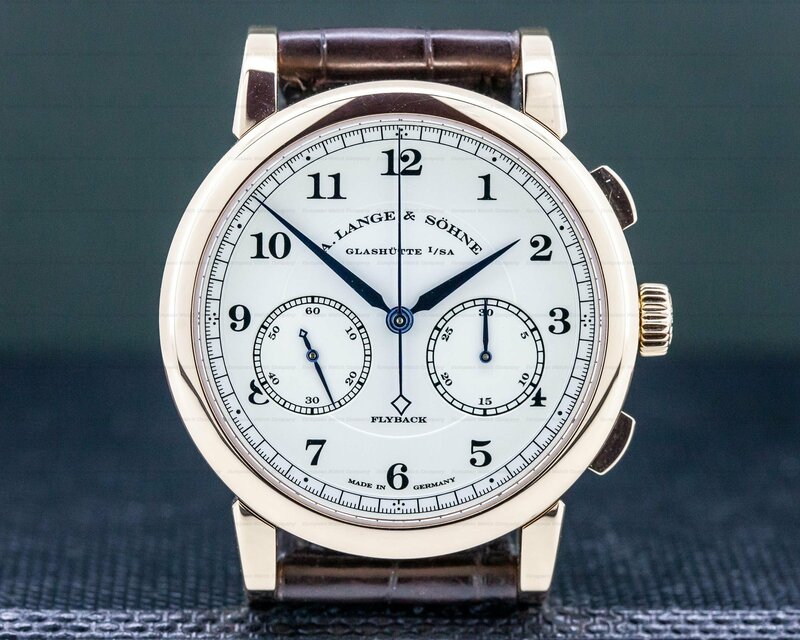 This is an 18k rose gold A. Lange & Sohne 1815 Sax-O-Mat, reference 303.032. 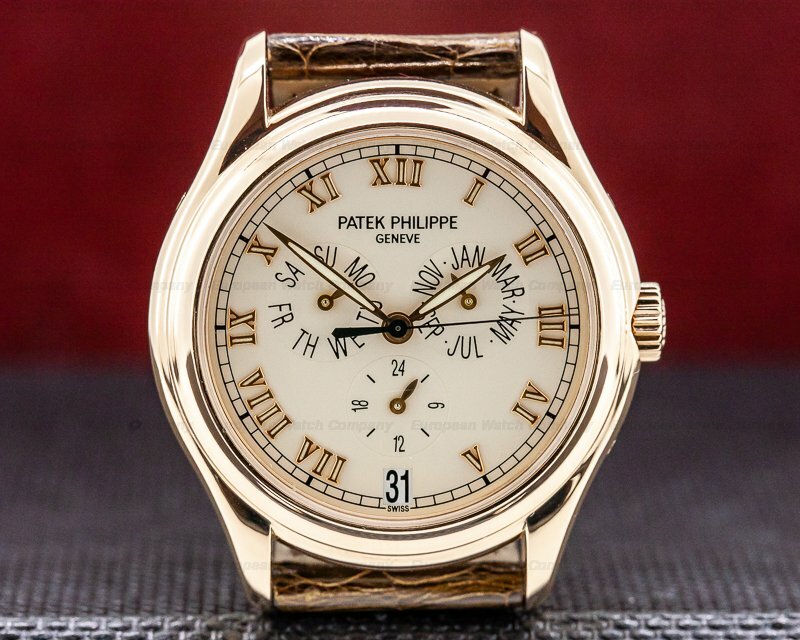 It has an alligator leather strap with an 18K rose gold tang buckle, and a scratch resistant sapphire crystal. 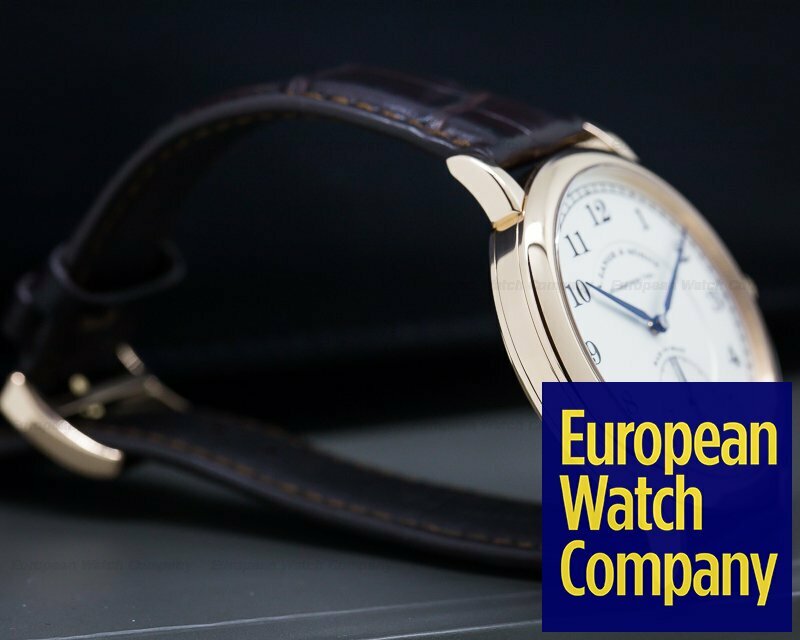 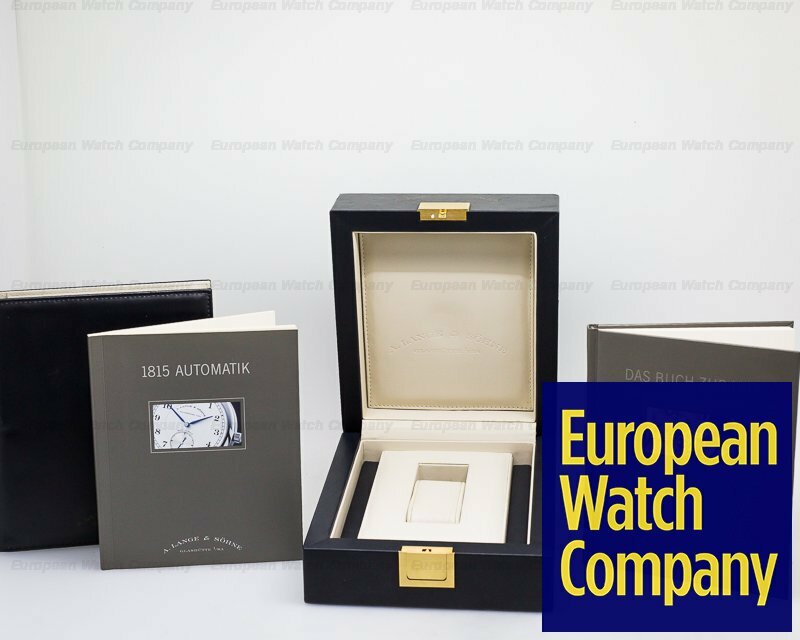 There is an exhibition sapphire display case back secured with 6 screws, engraved with "A. LANGE & SOHNE – GLASHUTTE, SA," and the serial number. 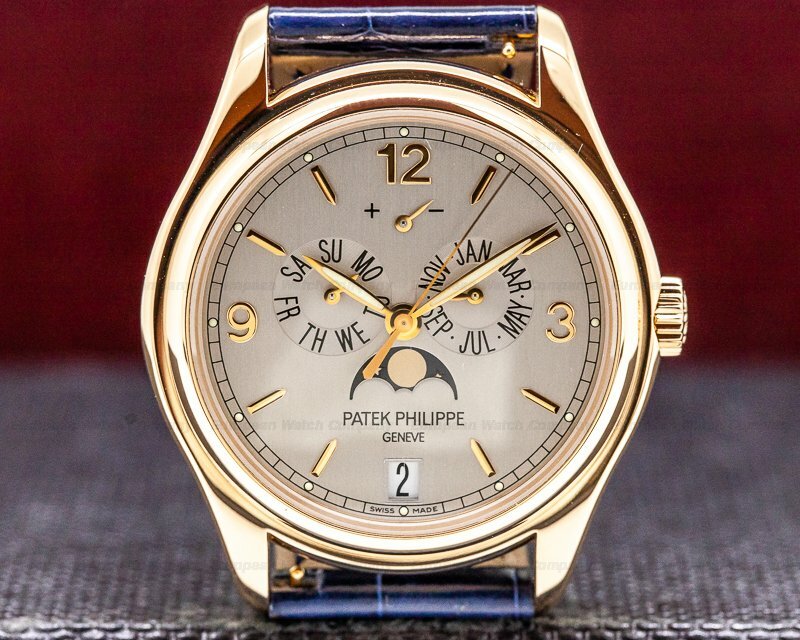 The 37mm diameter solid three-body case back, downturned lugs, and rounded bezel are polished. 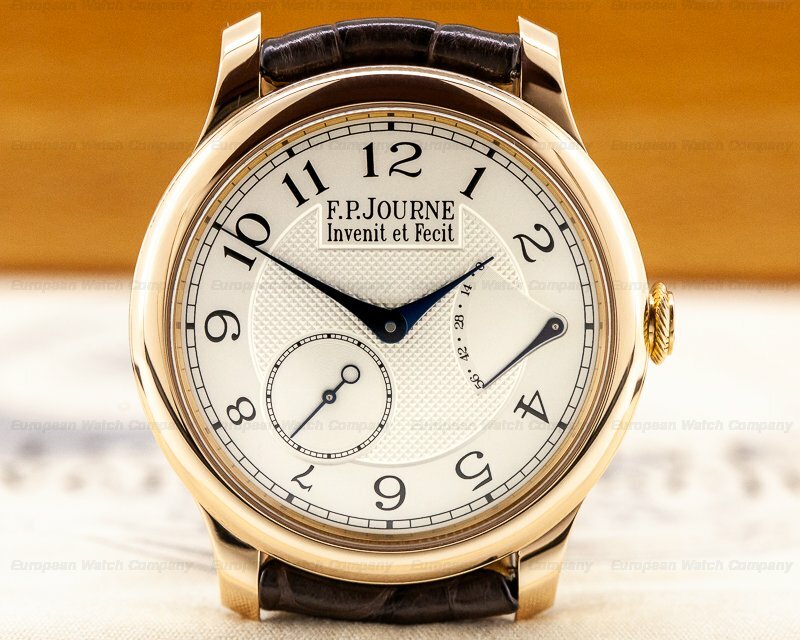 The dial is silver with black painted Arabic numeral hour markers and luminous dots inside a railway-style minute track. 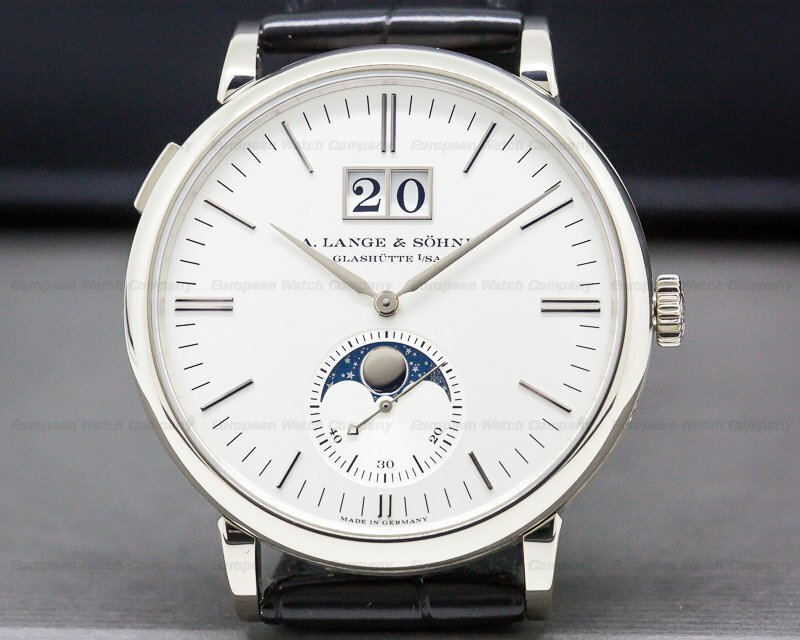 It has blued steel epee hands with zero reset hacking seconds, and there is a silver constant seconds subsidiary dial at 6 o'clock. 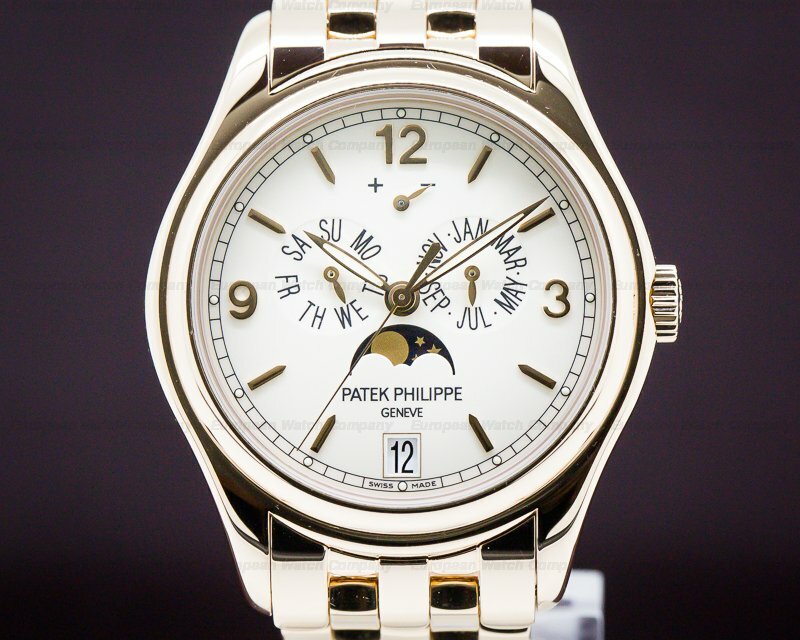 It's water resistant to 30 meters/100 feet, and it has a 45-hour power reserve at full wind. 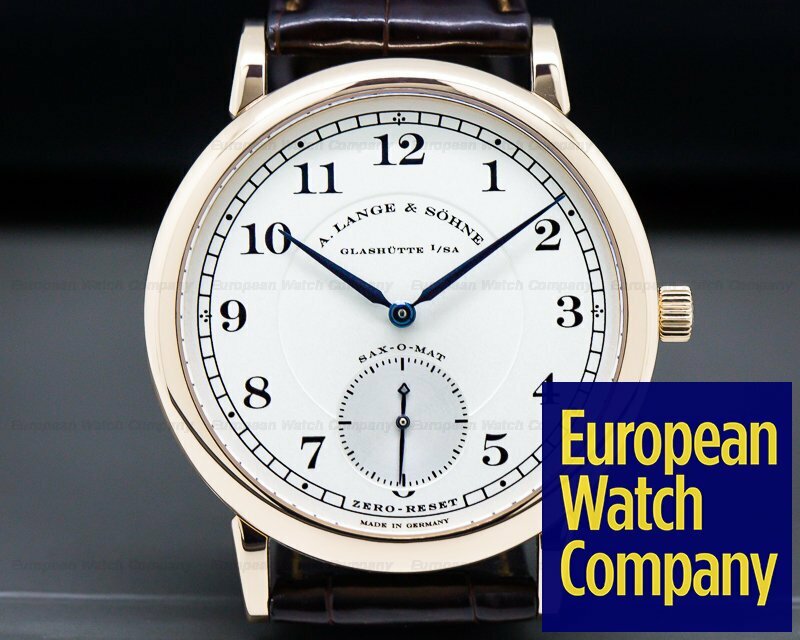 The mechanical automatic ALS caliber L 921.4 movement is made of Glashütte 3/4 plate in German silver, with fausses cotes embellishment. 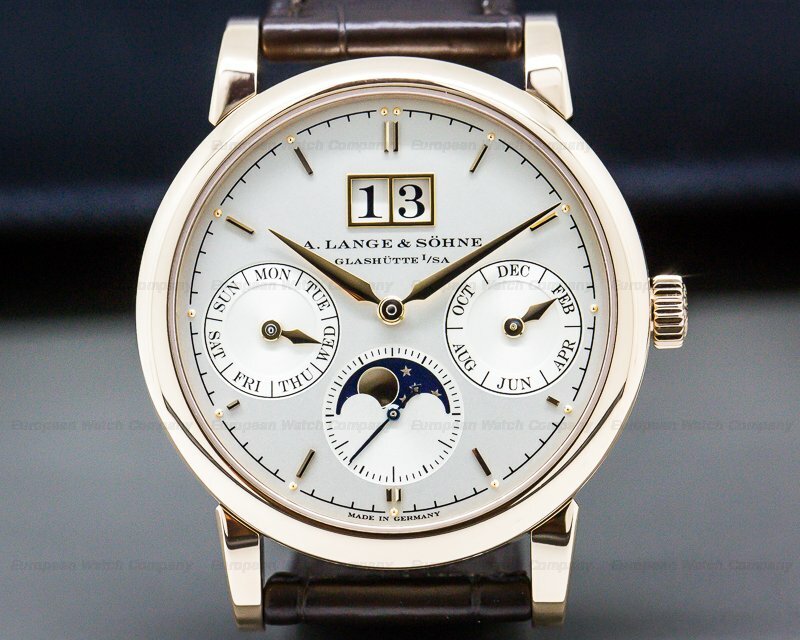 It's constructed with 45 jewels, a shock absorber device, and a straight-line lever escapement. 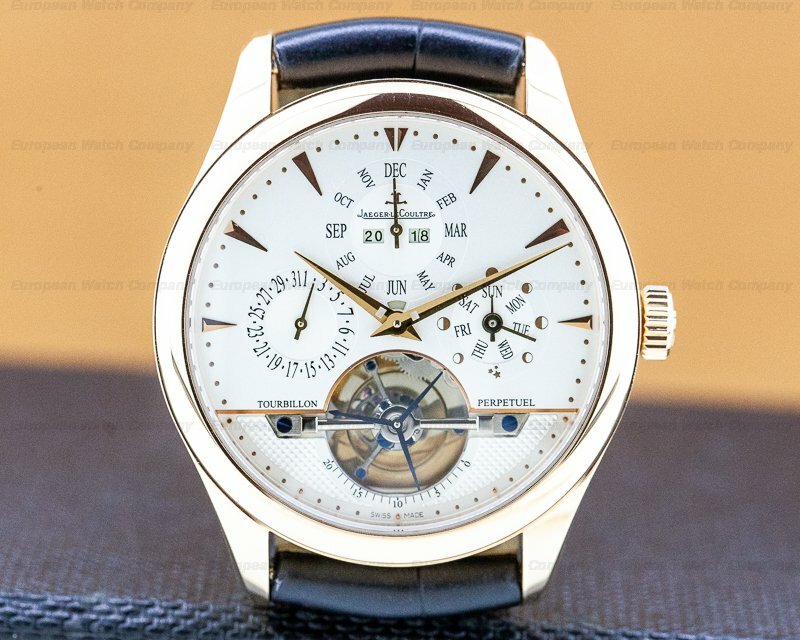 It includes a monometallic balance that's adjusted to 5 positions, a self-compensating flat balance spring, and a swan neck micrometer regulator. 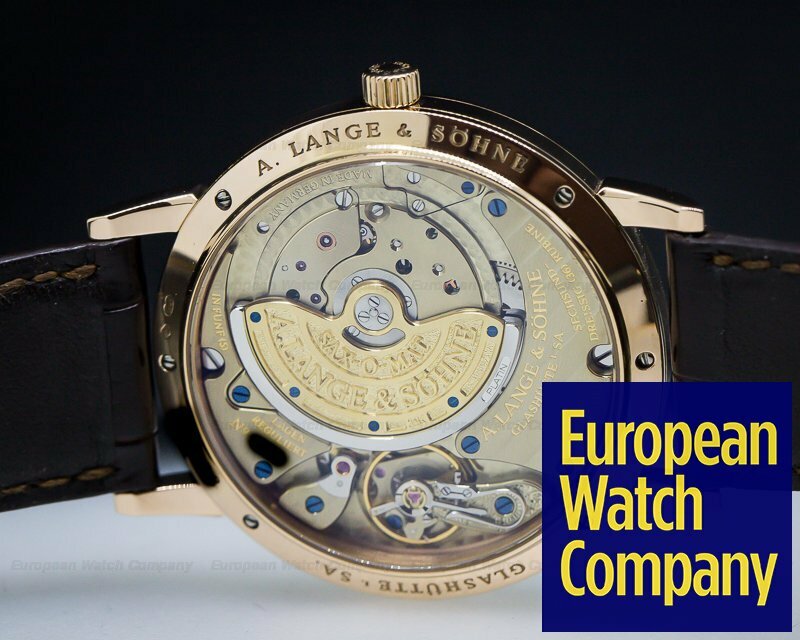 It has a 21K gold micro-rotor with a platinum segment and an elaborate engraving of the company name, a hand-engraved balance bridge, and a hacking seconds mechanism. 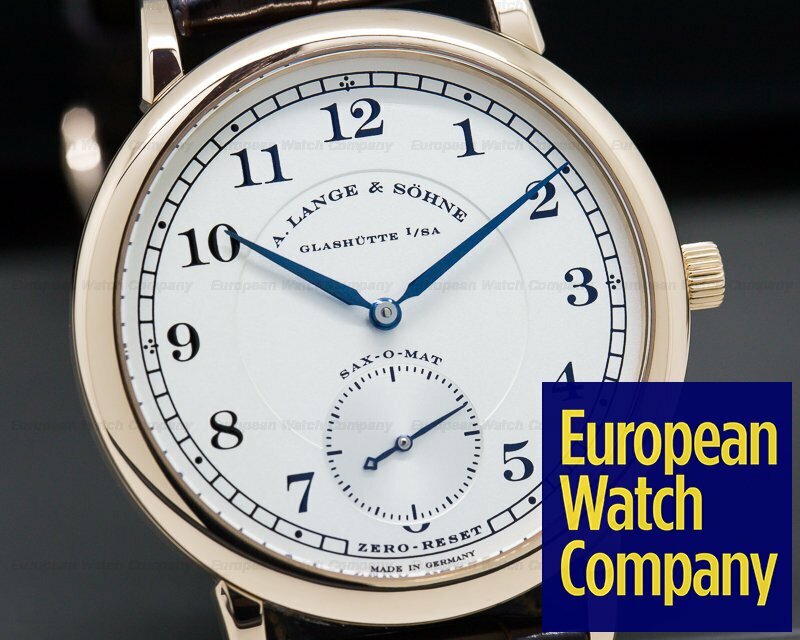 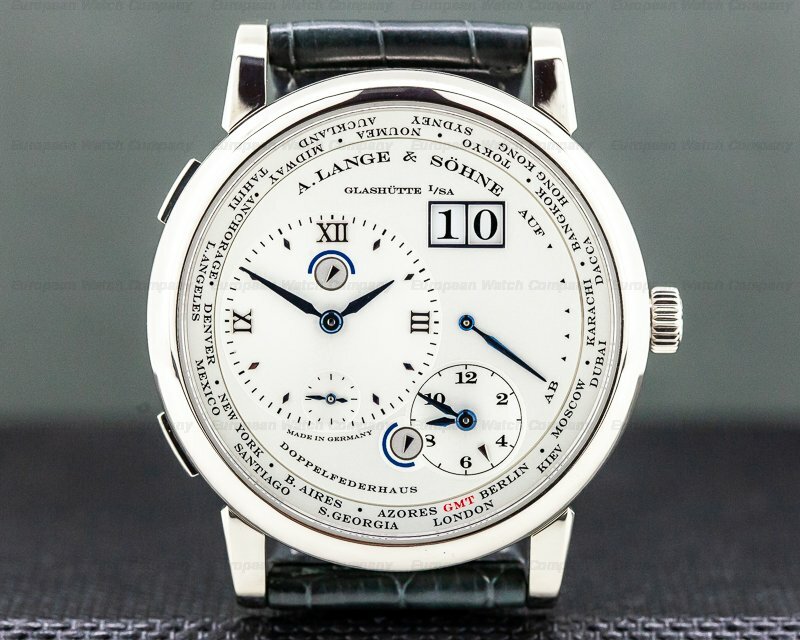 This A. Lange & Sohne 1815 Sax-O-Mat, reference 303.032, was produced from 2000 to 2009.